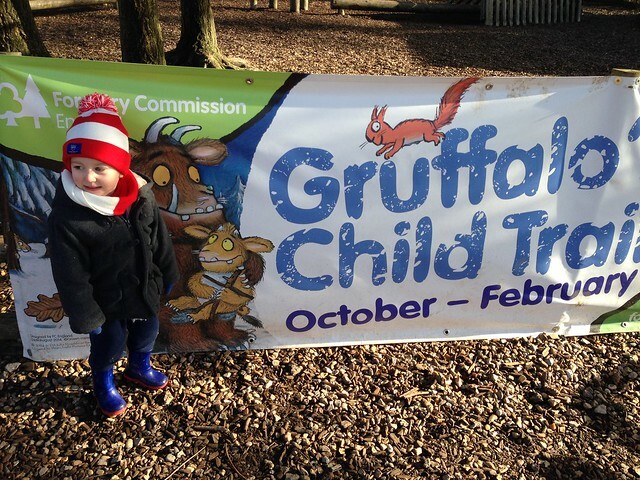 Bee's Circus: The Gruffalo's Child Trail. 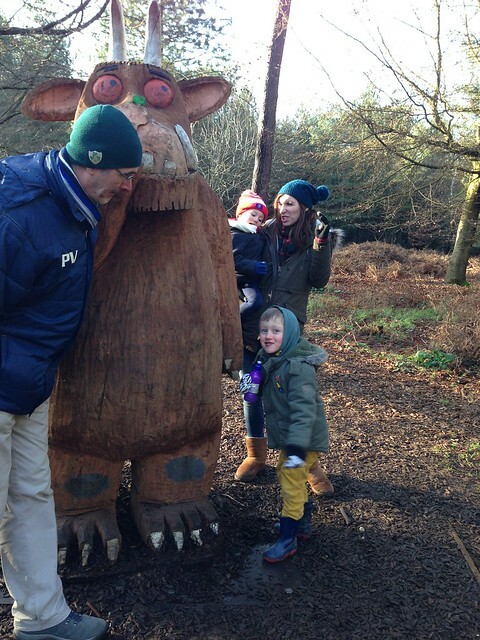 On Saturday we went on an adventure, to a deep dark wood, to hunt for the Gruffalo! 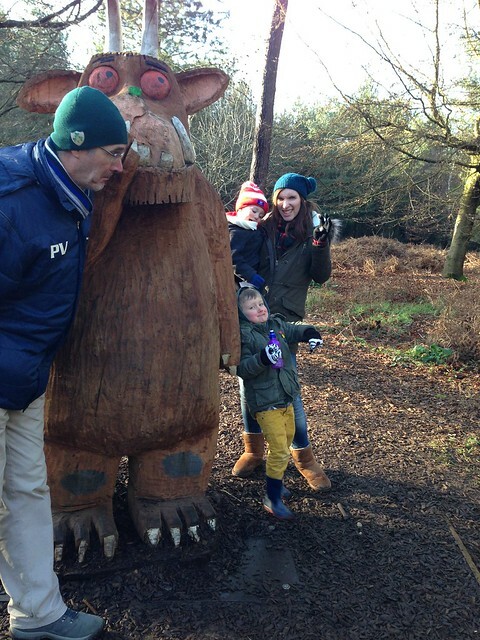 My parents took us to Alice Holt Forest for their Gruffalo's Child Trail - "Explore the Forest on a self-led family trail with characters from the well-loved children's story - The Gruffalo's Child." The boys really enjoyed rushing from sign to sign, excited to find the Gruffalo and do the activities on the way. Nanny and Grandad were great sports, joining in too! A really fun, free family day out, we had a coffee and huuge piece of cake at the cafe before we started, and a play at the giant park when we'd finished too. We're definitely planning on going back, soon! Admission is free, but we did pay a couple of pounds for parking, and an activity pack is available for £2. The trail is a special event and only open until the 28th February, I think they have a few across the country so it's worth a google. 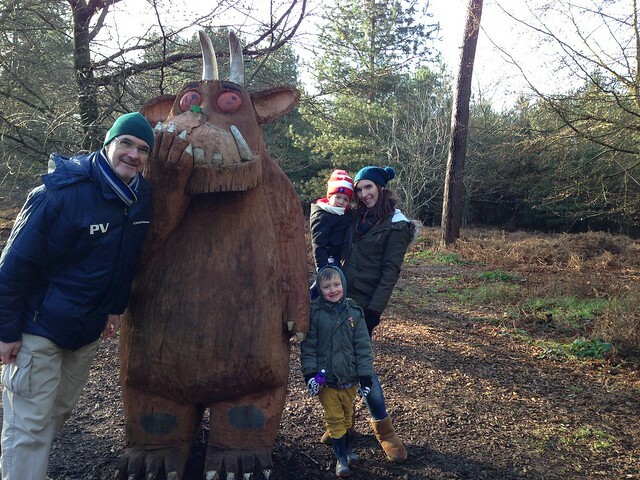 Side-note, the actual Gruffalo statue wasn't on the trail, but on a separate one in the opposite direction, definitely worth planning for though! It was pretty magical, watching one of our favourite stories come to life for them like that. I vlogged our day, if you'd like to watch. The video is kinda long, but I think it is absolutely the sweetest. Thank you Nanny and Grandad, for a wonderful day!